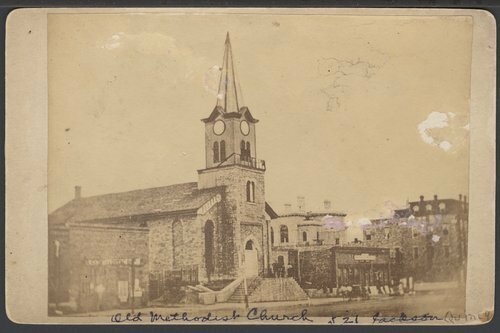 This cabinet card shows the First Methodist Church in Topeka, Kansas. Construction on the brick structure began on October 16, 1860 when the cornerstone was laid at 5th and Quincy Streets. The church was eventually torn down in 1886.